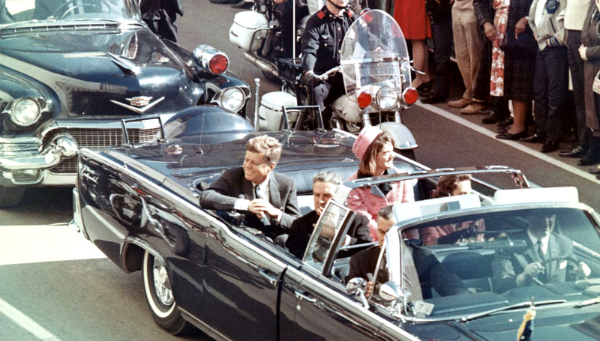 On November 22, 1963, John F Kennedy was on his way to give a speech when he was shot and killed in his motorcade. A lot of attention has gone to the shooting and not much attention has been given to the speech, but someone has changed that. The planned speech to the Dallas Trade Mart is a matter of public record, so we don't have to wonder what it was. We can wonder what it would have sounded like, though. The Times commissioned the company CereProc to go through 831 of his recorded speech, and used computers to generate audio of JFK giving the 20-minute speech. It's not perfect but it is eerily realistic. The full version is behind a paywall on The Times website, but you can hear an excerpt of the JFK Unsilenced Project at the BBC. It's both exciting and alarming that it's getting easier to recreate the image and voice of people who've passed away. Star Wars: Rogue One already stirred controversy with its recreation of Carrie Fisher and Peter Cushing. Is this one step too far? Should JFK's voice have been recreated? Let us know in the comments!